2018 has broken records, tested limits, reset the boundaries and rewritten some history. We end the season with a seven-time world champion, some of the closest races and podiums in history, and another incredible highlights reel of this spectacular season. But it’s not over yet – there’s one more weekend to race. Marc Marquez likely arrives as the favourite. The reigning champion took an impressive win at Sepang to bounce back in style, and he arrives as the home hero in form. Marquez also has a good record at Valencia – wrapping up two MotoGP crowns there since 2013, and winning from the back in Moto2 – and he’ll want to win again on home turf to cement his stellar season. This year, however, there may well be more eyes on the other side of the Repsol Honda box at the season finale, with teammate Dani Pedrosa yes, having a great record there and yes, back on song at Sepang, but more importantly the three-time World Champion will be hanging up his leathers at the end of the season – in terms of competition at least. After a career competing with Honda and marking some incredible achievements, Pedrosa retires from active race duty after Valencia and will become a KTM test rider. On Thursday he will also become a MotoGP Legend as he’s inducted into the Hall of Fame. Maverick Viñales is another home hero aiming high. After winning in Australia, Sepang was a tougher qualifying in difficult conditions that hampered the Spaniard slightly on race day, but Yamaha seem to be back in the fight at the front. 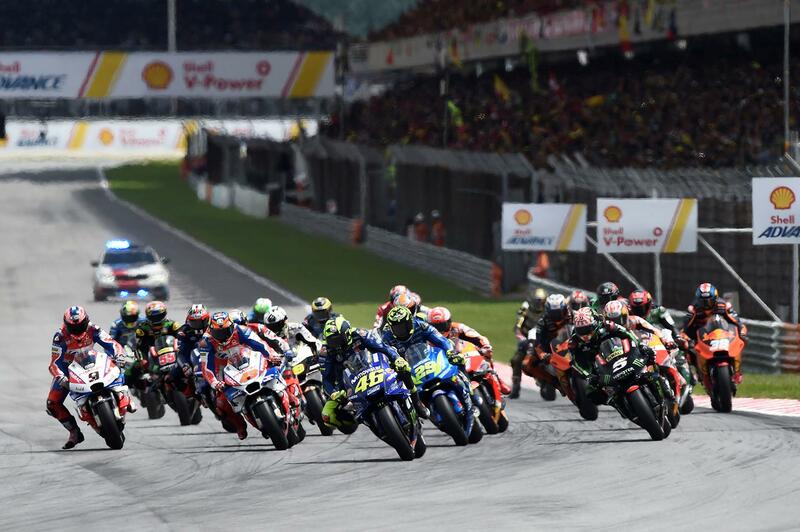 He’ll want another win to end the season and his teammate Valentino Rossi, who came so close at Sepang, will want to win his first race of the year. Rossi’s incredible laptimes in Malaysia only came undone a handful of laps from the end, and although Valencia is traditionally a more difficult track for the ‘Doctor’, he was on fire at Sepang. For the Ducati Team Valencia has also been a more difficult track at times. Last season didn’t quite put paid to that either as both men crashed out, but Jorge Lorenzo especially has an incredible record at the Circuit Ricardo Tormo. He is determined to make it through the whole weekend this time and make his return from injury, and although he may well not be able to hammer home the kind of pace he’s previously shown at the venue, he can’t be counted out altogether. For teammate Andrea Dovizioso it’s sometimes been a more difficult venue but some incredible battles in the past mean ‘DesmoDovi’ can’t be counted out. On the podium at Phillip Island to underline the incredible progress made by the Borgo Panigale factory at every different type of track, Dovizioso has second in the Championship wrapped up and will have a few points to prove in the last race of the year. Team Suzuki Ecstar, meanwhile, are on form. Andrea Iannone has been on it despite a twitchy crash behind Marquez in Malaysia, and it’s his last race for the Hamamatsu factory. And Alex Rins showed once again last time out quite how competitive Suzuki now are as he took that stunning second place and equalled his best result in the premier class. Rins is on home turf and on a roll and can't be counted out. The man he beat to second at Sepang was Johann Zarco as the Frenchman got back on the podium – and from pole after Marquez was penalised. After Zarco and Danilo Petrucci were both given the opportunity to make big gains on the injured Cal in Australia in the fight for top independent rider and neither could, Malaysia was Zarco staking a serious claim on that title. The 16 points for third put him one point above Crutchlow and five clear of Petrucci – with his form last season at Valencia marking him as the favourite to outrace the rest. Rookie of the year is also on the line, with Franco Morbidelli looking to wrap that up. At Aprilia Racing Team Gresini, Aleix Espargaro races at home and they bid goodbye to Scott Redding after the race weekend, with Red Bull KTM Factory Racing aiming to stay ahead of the Noale factory. KTM are two points clear as a constructor and a handful more as a team so there’s everything to race for – before they also begin a new era. Marquez and Rossi to assess Michelin tyres in Valencia’s November test?